Hiya guys! I can't believe the Holiday season is in full-swing and I am loving every second of it. It's actually the time of year I enjoy the most. Of course, I am hoping I'll finally be able to catch a break and enjoy the season without getting sick. The IV infusions at this point are cake, so as long as nothing else happens I'm golden. Which is a good thing too because this time of year brings out the best polish collections. 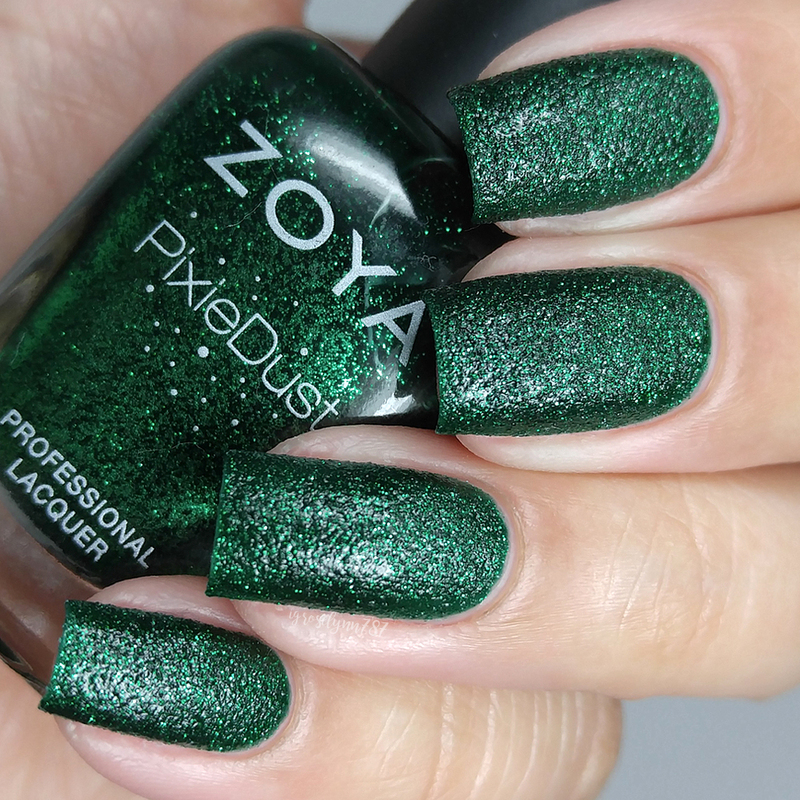 Speaking of which... Today I'm sharing swatches for the Enchanted Winter/Holiday Collection by Zoya, which consists of two shimmers and four Pixiedust finishes. Yes, all hail the nail gods. The gorgeousness known as PixieDusts are back and I am super pumped! In fact, let's not babble any longer and get right to the swatches! 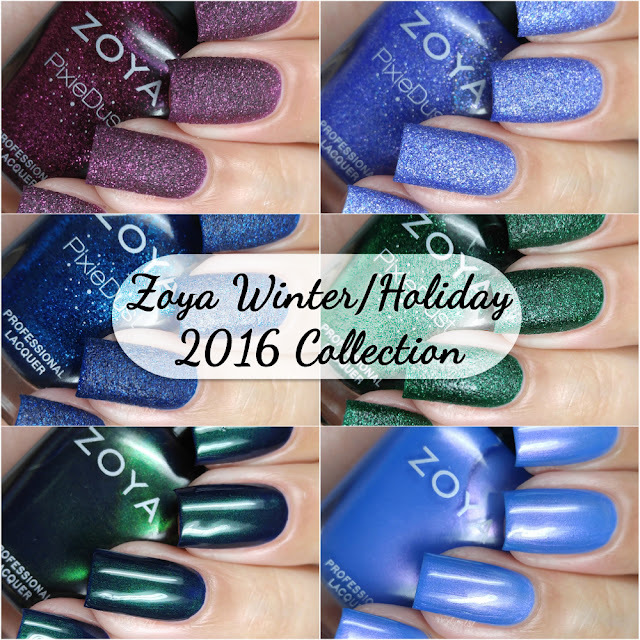 The Enchanted Winter/Holiday Collection by Zoya is available for purchase online. Each full-size bottle retails for $10 or you can grab the entire collection for $60. 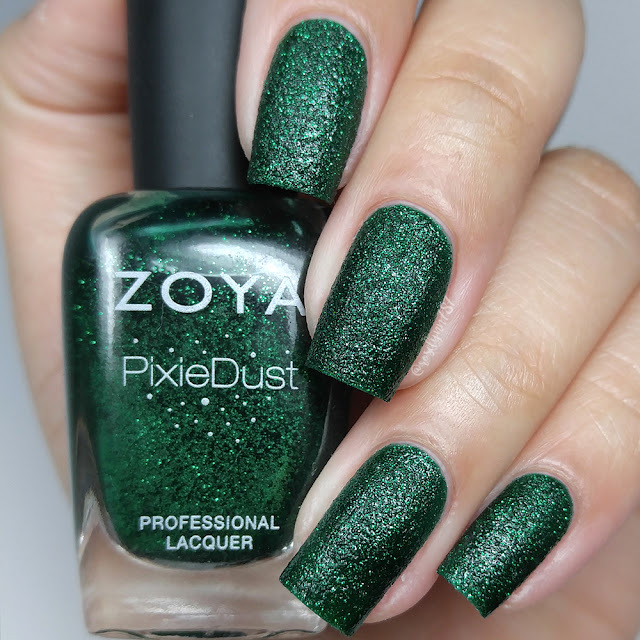 Elphie can be described as a emerald green with a sugary green sparkle in the exclusive Zoya PixieDust Matte Sparkle formula. The formula has a sheer application, but it builds-up really well. Consistency wise it leans on the thin side, but it's not runny whatsoever. Shown in three coats and no topcoat. 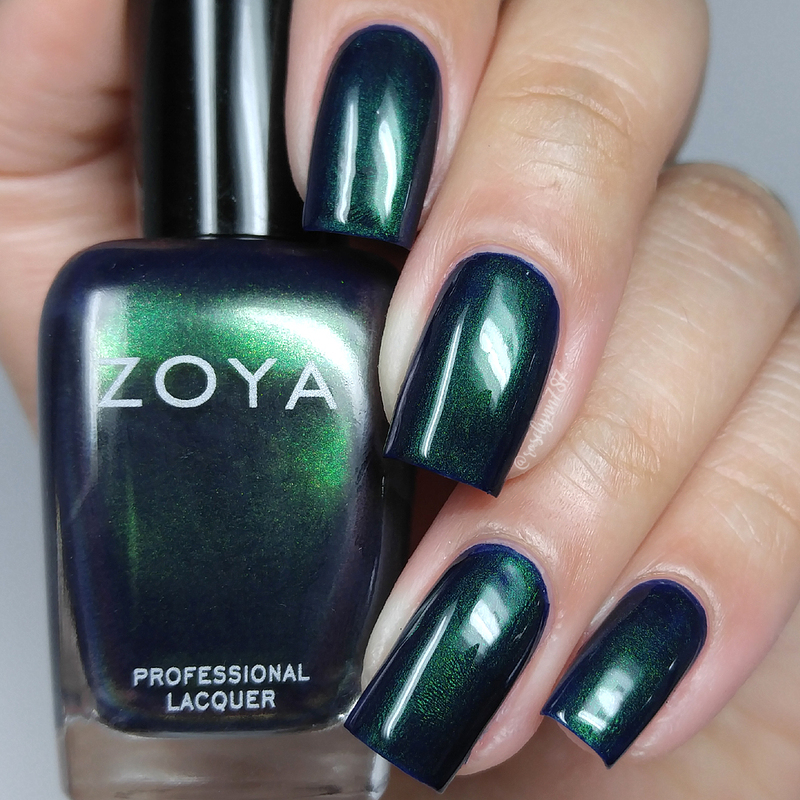 Olivera can be described as a color-flip metallic with an indigo base and a green and purple shift. Hands down this is the one I was going ga-ga over the most when the initial press release came out. The formula has a very opaque application, an easy one coater. The consistency is very balanced, not too thick or too thin. Minimal brush strokes in the finish blend out mostly after topcoat. Unfortunately now for the bad news, she's a stainer. I experienced very bad staining to my cuticles and nail bed, definitely a bummer. Shown in one coat and sealed with a glossy topcoat. 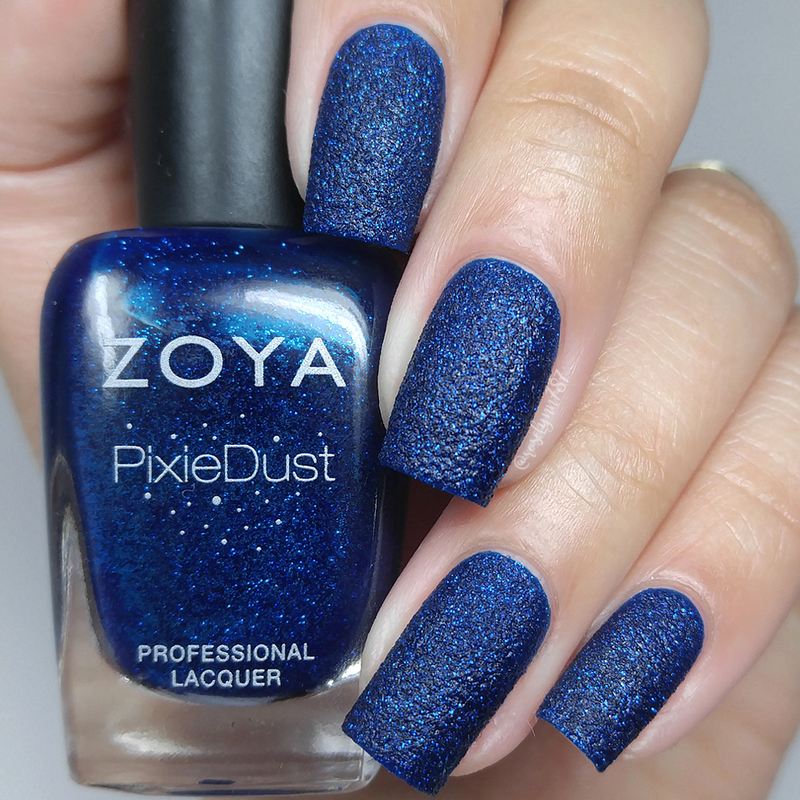 Lorna can be described as a berry with a sugary sparkle in the exclusive Zoya PixieDust Matte Sparkle formula. I was expecting it to be a bit richer, like the way the bottle looks. 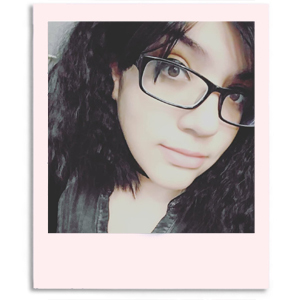 So while I do like the color, I wish it was just a tad bit more dark berry. The formula has a sheer and smooth application. Very good build-up. It does dry down very matte and textured as expected. Shown in two coats and no topcoat. 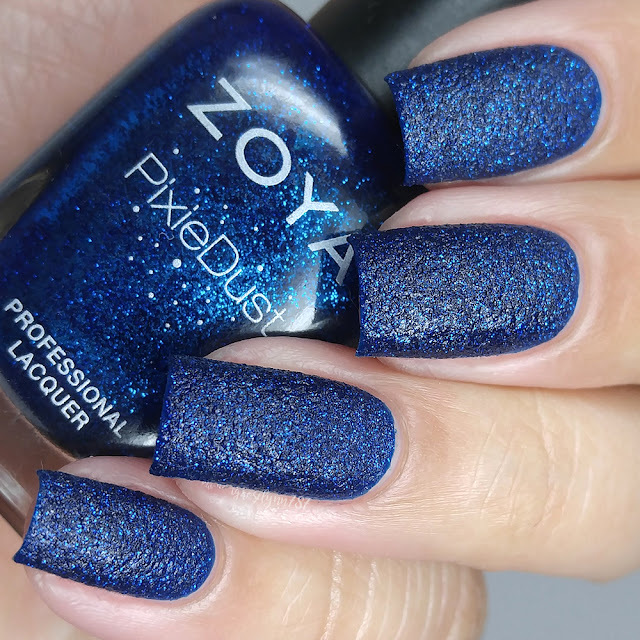 Waverly can be described as a deep sapphire blue with blue sparkles in the exclusive Zoya PixieDust Matte Sparkle formula. The formula has a pretty opaque application unlike the others. The consistency leans on the thin side and is a bit runny as well. I experienced some minimal staining on removal to my nail bed and cuticles. Shown in two coats and no topcoat. Alice can be described as a periwinkle with magenta and blue sparkles in the exclusive Zoya PixieDust Matte Sparkle formula. The formula leans on the sheer side, but has an even and easy application. It has a great balanced consistency that makes layering a breeze. It does dry down matte and textured as described and expected. Shown in three coats and no topcoat. Saint can be described as a color-flip metallic with a periwinkle base and magenta shift. And closing out the review, we have my favorite among favorites. Also one of my picks as must-have from this collection! Like with Olivera, the metallic shimmer in this shade had me awe-struck from the PR photos a few weeks ago. Photos don't do the color shifts any justice, trust me. The formula has a sheer application, but builds-up well on the nail for full coverage. Consistency tends to lean on the thin side, but without any issues of running. There are minimal brush strokes in the finish that blend out after topcoat. Shown here in two coats and sealed with a glossy topcoat. 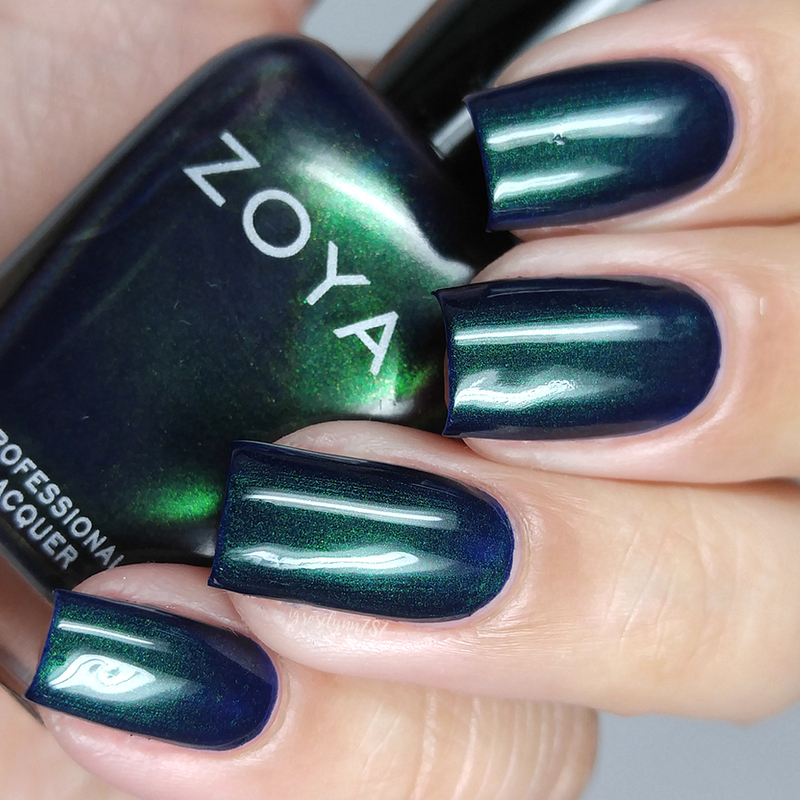 To recap, the Enchanted Winter/Holiday Collection by Zoya is available for purchase online. Each full-size bottle retails for $10 or you can grab the entire collection for $60. So tell me guys, what do you think of these? Which shade is your favorite? Let me know down in the comments!